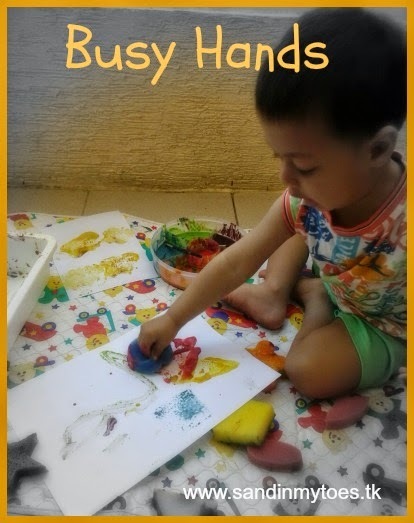 Play dough can be an endless source of creative activities for kids. 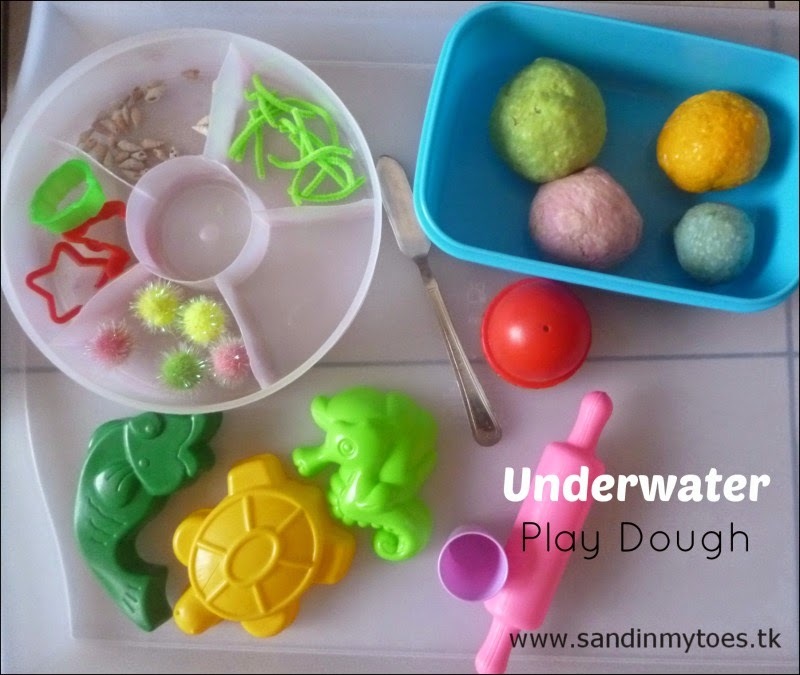 Recently, I put together a play dough activity for Little Dude with an underwater theme. If you would like to make play dough at home, I recommend this easy No Cook Play Dough recipe from The Imagination Tree. 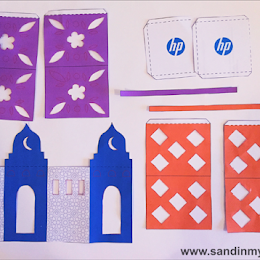 By making it at home, you can create different colours, themes, and textures. - Play dough in baby pink, sea green, orange, and powder blue. I placed the blue card sheet on a large tray, and gave Little Dude all the elements. 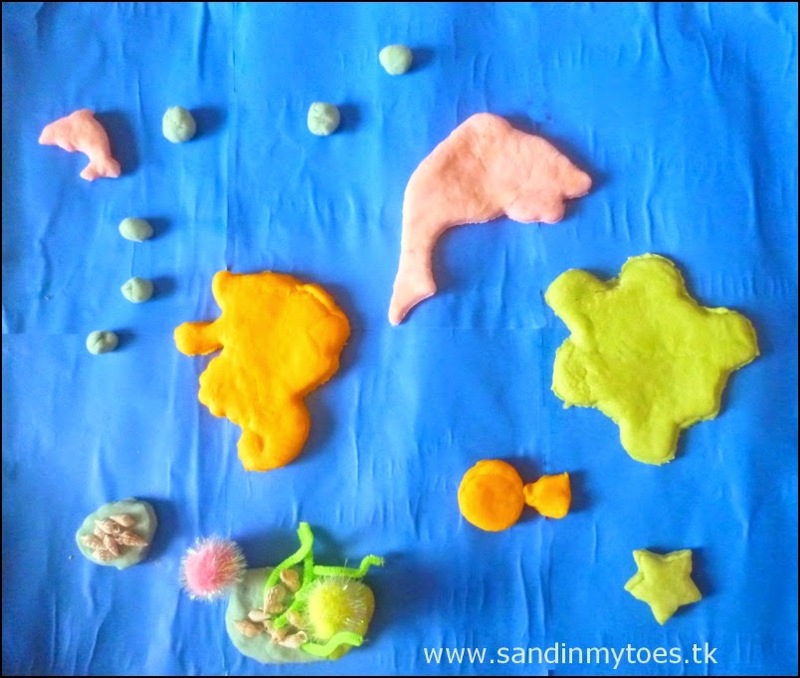 He first cut out the shapes of the turtle and sea horse, and then rolled out some play dough to place on the sea floor. To it, he added the sea shells and the green pipe cleaner for seaweed. The pom poms were used as sea urchins. We also made a fish by cutting out a circle and then a triangle. It was his idea to make some bubbles with the blue play dough. 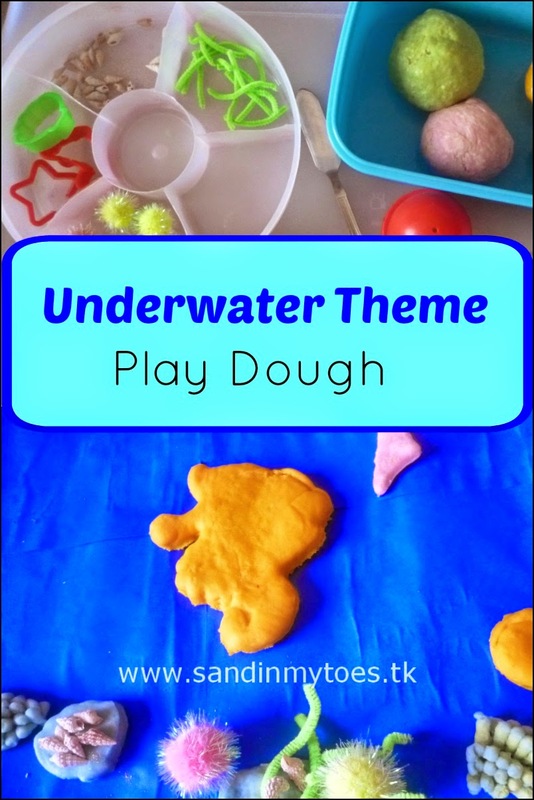 Themed play dough is a wonderful way to teach about specific concepts through creative play. This would make a fun activity for toddlers and preschoolers, as it lets them create their own scenes. We plan to do more theme activities in future as we introduce new concepts in our everyday learning. 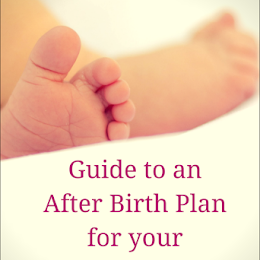 you can do with toddlers and young children). Great idea! Our regular play dough always ends up as a hard dry lump of nondescript colour! We are free of the water mixing now, but I'm sure he'll want to do that someday! Haha, that happens to all our play dough! It turns out great, just be careful to add the water gradually! Great idea for play dough fun. I love the picture he's created. Great idea. I don't ever think to theme our play doh sessions, but I can see this'd be fun. Thanks for the idea! It's the other way around for us! We're stuck indoors because it's sweltering outside. There's nothing better than outdoor fun! 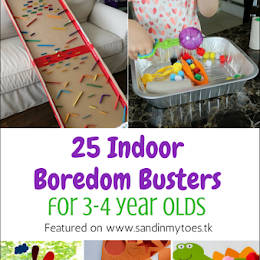 You could try any theme that interests them, I'm sure it will be fun for your kids! Hope your kids have fun with it!